Cranknob is a solo Crossover Electronic- Rock Project conceived by Ahmer Khan, a seasoned producer, guitarist and songwriter. Formed in 2011 in London, the current abode of the project is New Delhi. The amalgamation of music influences across big beat, electronica, UK underground, industrial and rock form Cranknob’s experimental tonal palette; with more influences than the hair on your head (at least when you were 20 something!). The projects prides itself in being a Live Electronic act, as performances showcase live synthesis, instruments and live vocals. Cranknob was awarded “Best Live Act” at The 2011 Winter Fest, The Metric, London (UK) and has been fortunate to perform at the following venues: Beit Hall, London, Russian Cultural Centre, Garden of Five Senses, Turquoise Cottage and Café 79. 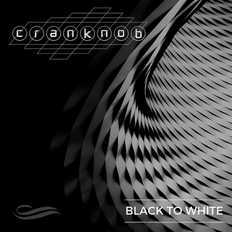 After a studio hiatus since mid 2015, Cranknob has released a sophomore five- track concept EP “Black To White” in June 2016 that is receiving rave reviews and has got featured in The Hindu, Rolling Stone India, The Wild City, Indian Music Diaries and Radio And Music among other outlets.